The MTZ Rotary Harrow is designed to create a fine level seedbed whilst working at shallower depths. Its lightweight, robust design and low power consumption means it can be handled by smaller tractors. 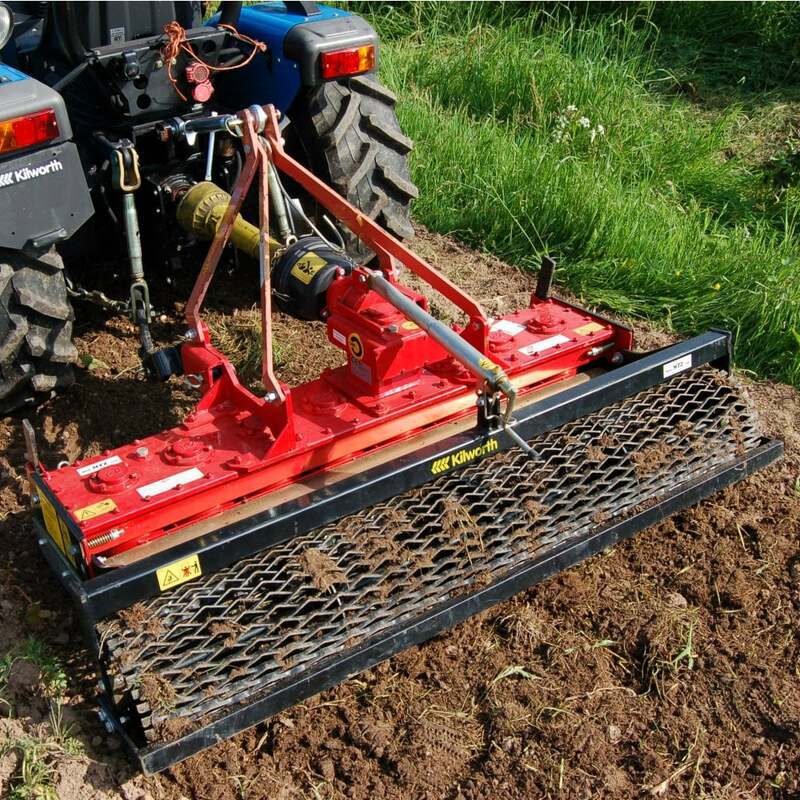 The high speed, contra-rotating rotors, each with 2 tines, spaced at only 135mm produce a fine tilth whilst working at only 25mm deep if required. It is engineered for use by contractors, local authorities and other commercial users. Available in 1220mm, 1400mm and 1500mm working widths.